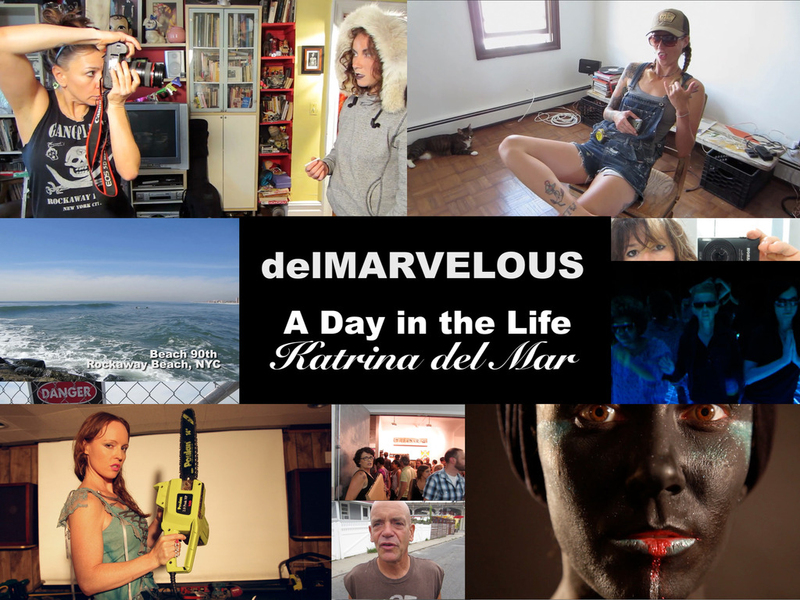 Welcome to delMARVELOUS: A Day in the Life, Katrina del Mar. "Like visual poems from a speedy person" delMarvelous is an experimental documentary webseries by NYC photographer and filmmaker Katrina del Mar. Expect it to be "artless, non-narrative, non-linear, semi-surreal." NYC filmmaker and photographer Katrina del Mar has been referred to in the press as a "wild woman" and the "lesbian Russ Meyer." The Huffington Post describes her as talented and "intimidatingly badass." Following a successful kickstarter campaign, the series episodes are now here! All images here are copyrighted and controlled. Reproduction by any means without Miss del Mar's express written permission is forbidden. Thank you.